SKIN, It’s the body’s largest organ, but how much do you know about it? The skin acts as our body’s thermostat, helping it cool down on hot days and prevent heat loss on cold ones. Dead skin cells can remain on the skin, so it is important to remove them with an exfoliator. Acne, rashes, and sunburn are some of the concerns that come to mind when people think about caring for their skin. But how much do you really know about your skin and the vital roles it plays in ensuring good health? 1. Skin is the largest organ in the body. “Skin occupies approximately 1.73 square meters [or more than 18.5 square feet] to cover our flesh and bones,” says David Bank, MD, director at the Center for Dermatology, Cosmetic & Laser Surgery in Mt. Kisco, New York. Skin makes up about 16 percent of our body weight. 2. There are four main receptors in the skin that respond to pressure: Meissner’s corpuscles, Merkel’s discs, Ruffini endings, and Pacinian corpuscles. Each receptor responds to a different type of touch. “Meissner responds to light touch, Merkel to pressure and texture, Ruffini to stretching, and Pacinian to vibration and deep pressure,” Dr. Bank says. Additionally, there are countless free nerve endings in the skin that gauge pain and temperature. 3. Skin plays an important role in regulating body temperature. Your skin acts as your body’s thermostat. When temperatures rise, sweat glands activate to cool the body down. “Sweating is a bodily function that helps regulate your body temperature,” Bank says. “Normal sweating can be as much as a quart of fluid per day.” When temperatures are lower, blood vessels in the skin tighten and limit the amount of hot blood that can reach the skin, preventing heat loss. Pores also become smaller when exposed to colder temperatures in order to retain heat, Bank says. 4. Skin gets its color from a pigment called melanin. Skin color can range from very pale to very dark, depending on how much melanin the body makes. Everyone has the same amount of cells that produce melanin, which is made in the outer layer of the skin called the epidermis; but not everyone produces the same amount. The more melanin your body produces, the darker your skin. 5. Your skin regenerates itself. “Your skin sheds its dead skin cells on a daily basis, creating a new layer of skin every 28 days,” Bank says. 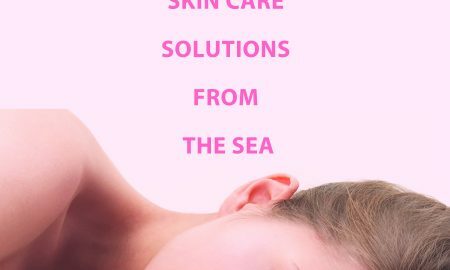 “Even while you sleep, Mother Nature is doing her job by making sure your skin exfoliates itself, without your help.” That said, dead skin cells can remain on the skin, so it is important to remove them with an additional exfoliator. How often you should exfoliate depends on your skin type. Bank recommends people with sensitive skin exfoliate once a week, while people with acne or combination or oily skin exfoliate twice a week. He recommends exfoliants with oatmeal, which has a soothing property to it; and he cautions against exfoliators with sharp or hard particles, such as apricot seeds or walnut shells, which can cause microscopic tears in the skin. “It’s best to gently massage scrub the exfoliant into wet skin for three minutes, then rinse with tepid water for the best results,” Bank says. 6. Dust is partly made up of dead skin cells. Dust is an accumulation of many materials, including dirt, animal dander, sand, insect waste, and even dead skin cells. “In fact, each time you vacuum, you’re picking up dead skin cells off the floor, the chair, and the walls,” Bank says. 8. Changes in the skin can reveal a lot about your health. Changes to the skin can be a sign that something is wrong. Rashes, hives, and itching may signal an allergic reaction, a bacterial skin infection, a viral infection, or an autoimmune disease. A mole may be a sign of skin cancer. 9. Pimples are not caused by dirt or diet. These are common misconceptions, Bank says, but there are some common culprits that can offset breakouts. “Acne can be caused or aggravated by menstruation and/or pregnancy due to changes in hormone levels, sweating, humidity, some medications, and certain cosmetics or hair preparations,” he says. To help treat and prevent acne, Bank recommends washing your face twice a day and after working out with a mild cleanser. Use noncomedogenic moisturizers and makeup products and oil-free sunscreens that do not clog pores, and be sure to wash facecloths and makeup pads and brushes regularly. You should remove all makeup before going to bed, and wash and change sheets and pillowcases every few days. 10. The sun does not make acne better. “Contrary to popular belief, sunbathing makes zits worse, not better,” Bank says. “The initial, temporary drying effect and the blemish-concealing tan may fool you, but UV rays actually stimulate oil production.” What’s more, the sun’s rays also thicken the outer layer of your skin, which blocks your pores and leads to breakouts. Always practice sun safety by limiting time in the sun, especially between the hours of 10 am and 4 pm. Wear a hat and protective clothing, and choose a broad-spectrum sunscreen with an SPF of 30 or higher.